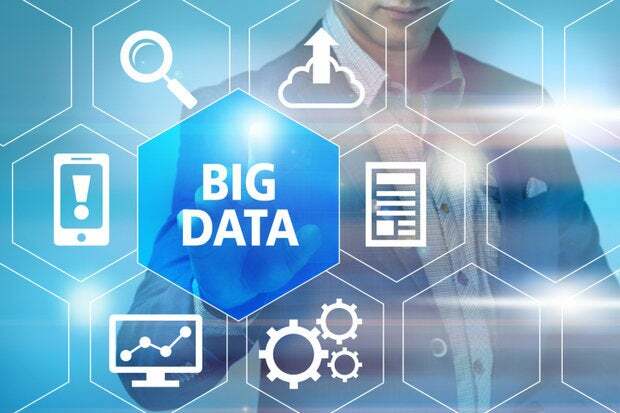 Big data, despite being a term that hardly anyone can agree upon the meaning of, is one of the hottest marketing terms in IT marketing land. New vendor Cazena is launching today to offer big data as a service. But what does that actually mean? Everyone agrees that we're swimming in a sea of data that only continues to grow. Everyone agrees that in only a few short years we will see a massive growth in the number of different devices that are connected to the internet. No one disputes that these devices, coupled with our increasing use of social media, will further heighten the data deluge we're experiencing. Put all of this together and you have a seemingly huge amount of data which likely hides a large number of very valuable insights. The idea of being able to mine all that data to deliver value to organizations is where the "big data." "predictive analytics," and "insights" buzzwords originated. Of course, all of this data could simply be creating what my brother dismisses as digital diarrhea - an increasing quantity, but marked decrease in quality, of information. One company that would disagree with my brother, or would at least contend that there is value to be extracted from that waste sludge, is Cazena. The company, which has just announced a $20 million Series B funding round, is all about enabling enterprises to leverage big data, but at a more economical cost. It is therefore somewhat ironic that in order to deliver economies in the space, Cazena has needed to raise such a massive war chest, an irony perhaps lost to its funders, Formation 8, Andreessen Horowitz, and North Bridge Venture Partners. But enough of the cynicism. What is Cazena actually up to and who is behind it? The company was founded by a bunch of former Netezza executives. Which is interesting since Netezza (acquired in 2010 by IBM) was in the business of building data warehouse appliances. Data warehousing being the traditional route by which analytics occurred. Cazena is, therefore, tackling this same problem, but solving it using new technologies. Cazena aims to offer big data powered by the cloud and as simple as a few mouse clicks. This is a stark difference to traditional models which tended to be highly complex, very slow, and significantly expensive. The cloud has changed that, but some barriers still exist. Cazena is launching three Big Data as-a-Service solutions that address a broad range of analytic workloads: Data Lake as a Service, Data Mart as a Service, and Sandbox as a Service. Each solution can be deployed in three clicks, at economically attractive rates. The timing is good. Enterprises are actively exploring the use of cloud for big data processing. According to Forrester Research, "cloud services can deliver the fastest time-to-result and most focused agility." As a result, the research firm advises clients that, "when it comes to implementing big data analytics, make cloud services a first-class option, not an exception." Another recent analyst study found that more than half (53%) of enterprises surveyed already use or plan to use public cloud resources for big data analytics. But respondents reported that security, data movement, and complexity are top obstacles to cloud adoption. Workload Intelligence: Provisions and continuously optimizes cloud infrastructure and data technologies (Hadoop, MPP SQL, Spark etc) to guarantee workload SLAs. End to end automation: Moves data efficiently and runs analytic workloads in the cloud, with connectors for enterprise tools and data sources. Security and Governance: Integrates an encrypted data cloud into the enterprise using security, governance and compliance controls. It's not on its own in this space from raw analytics platforms like Splunk to more converged offerings from Pivotal to application-centric tools liek SAP HANA, everyone is trying to solve this problem. But with Cazena's significant war chest, and the experience of its founders, there is every chance that this company will find a cure, or at least mine some value from, the world digital diarrhea.